“It’s Showtime” introduced another batch of its ‘kilig ambassadors’ – the newest members of its boy group Hashtags – who will bring more kilig to the country’s number one noontime program. Also making their debut on “It’s Showtime’s” stage as new Hashtags were former “Pinoy Boyband Superstar” contestant Wilbert Ross, model Maru Delgado, as well as CK Kieron, Kid Yambao, Rayt Carreon, Vitto Marquez, and Franco Hernandez. 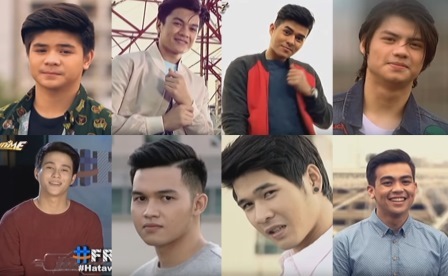 They will join original Hashtags members Zeus Collins, Jimboy Martin, McCoy De Leon, Nikko Natividad, Tom Doromal, Jameson Blake, Paulo Angeles, Jon Lucas, Ryle Santiago, Luke Conde, and Ronnie Alonte. According to data from Kantar Media, more viewers nationwide watched “It’s Showtime’s” Valentine treat as it recorded a national TV rating of 17.4%, higher than that of “Eat Bulaga’s” 14.7%.